Founder Kanya King explains her aim to motivate, elevate, and celebrate black artists in the U.K. In the mid-1990s, black British music thrived in nightclubs and on pirate radio. Acid jazz, R&B, rap, and jungle were forward-thinking and fertile scenes, but you wouldn’t know it from their recognition — or lack of it — in the mainstream media or at awards ceremonies. Noticing a wealth of talent yet to be celebrated, Kanya King, then a talent booker at London’s Carlton Television, took matters into her own hands. In 1996, she created the inaugural Music of Black Origin (MOBO) Awards, staged at the Grand Connaught Rooms in central London, and organized in six weeks on a shoestring budget. 20 years later, MOBO is Europe’s largest brand dedicated to black music, with an awards ceremony accessible to 250 million viewers worldwide. Throughout the past two decades, the ceremony has served as a mirror for the times and shifts of taste in music, while always retaining a firmly British backbone. As such, it’s been par for the course for the ceremony to mix international music heavyweights like Destiny’s Child and Rihanna with a healthy crop of emerging homegrown talent. In the ‘90s, this meant that honorees included R&B/soul stars like Shola Ama and Beverley Knight, and Bristol-based drum & bass collective Roni Size/Reprazent. 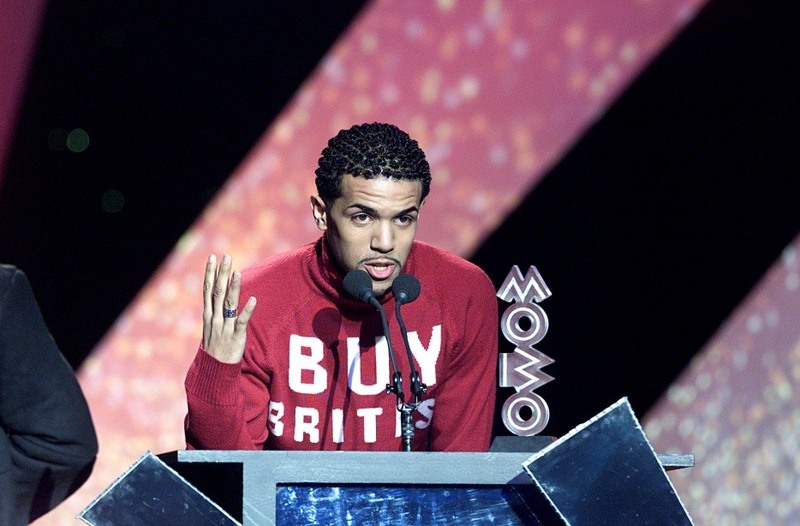 When Craig David’s seven million selling debut album Born To Do It was snubbed by the BRITs in 2000, the MOBOs awarded him three prizes. Last year, in a banner year for grime and U.K. rap, Krept & Konan, Stormzy, and Skepta all took home trophies. But aside from the ceremony, King has spearheaded apprenticeships and training schemes to widen access to the arts for young people of color. Recently, MOBO partnered with BBC Radio 1Xtra for a month-long music outreach program in the north of England, engaging with 7,000 young people aged 15-24 years old. Ahead of the 21st MOBO Awards this Friday, November 4, The FADER spoke to King over the phone during a break in preparations. She opened up about overcoming the stereotypes placed upon her as a young black girl from a council estate, her unwavering entrepreneurial spirit, and why the MOBOs will never stop championing independent artists. As a young entrepreneur and a woman of color, did you encounter any obstacles while organizing the first ceremony? Prior to the MOBOs, there was the Black Music Awards, which ran for a few years. Some people felt that because it didn’t live up to the hype, [the MOBOs] would never work. There was a negative perception about black music, too. People said the events were disorganized, and the artists were unreliable and not glamorous. When I spoke to people about my idea for showcasing talented urban acts, the support was not there. But I wasn’t looking for handouts, I was looking for hand ups. [In 1996] I held a launch event at Ministry of Sound nightclub in south London on a Sunday night because it was all I could afford. I spoke to all the broadcasters and Carlton Television [a forerunner to ITV London] came back with a slot. [The ceremony] was scheduled six weeks later. I knew this was my chance, so I set up a makeshift office in my bedroom, started MOBO Organisation, and began booking talent. 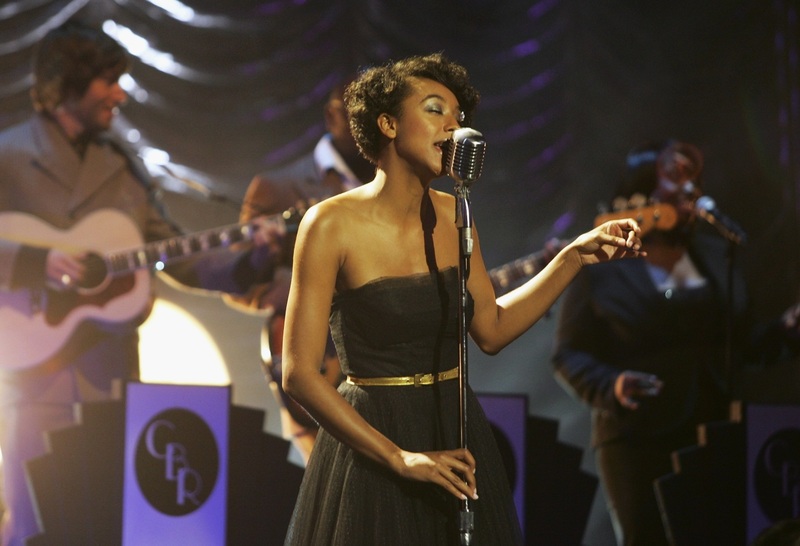 When did you realise that black British music was underrepresented in the mainstream? When I was a teenager I was surrounded by talented musician friends who were frustrated and despondent. No mainstream vehicle celebrated urban music and many felt, “There’s nothing here for us so why are we trying?” I wanted to help so I started putting on soul and jazz nights. I had little money but I managed to hire small venues in north west London. I’d get a good price outside peak times. We soon upgraded to bigger spaces, such as the Hippodrome in central London. Previously you’ve said you knew you had to manufacture your own break from an early age. Could you explain what you mean? My mother was Irish, and my father was Ghanaian. Both came to the U.K. at a time when “No Blacks, No Irish, No dogs” signs were posted in public spaces. My father died when I was young and my mother was left to raise nine kids on a council estate. I knew I couldn’t be idle. Two things shaped my destiny. Firstly, I was sent to a careers advisor. I thought, Wow, there’s a real interest in my future. That was a big deal to me. I described my plan to create my own enterprise and was looked at in horror. I was told, “If you work hard enough, you could get a job in supermarket and become a manager.” I left thinking I shouldn’t have aspirations, given my background. But I refused to let someone’s lack of faith stop me from achieving my goals. Secondly, when I became pregnant I was written off — destined to be a young black parent living on benefits. However I was determined to work hard. I didn’t want to let my parents down. Those were drivers in terms of creating my own opportunities. Have you encountered any resistance from venues? Were you subject to Form 696, the Metropolitan Police’s controversial risk assessment form? Not from the police, but from other venues? Absolutely. It wasn’t uncommon to pay over the odds to secure a venue. Many turned us down, but I was so grateful to be welcomed by the New Connaught Rooms [in London’s Covent Garden, for the first MOBO Awards in 1996]. Until 2014, grime was twinned with the hip-hop category. Why did you separate it? We’ve been celebrating grime for a long time without it being called grime. People are talking about it now as if it came around yesterday [laughs]. From So Solid Crew performing in 2001 to Kano winning Best Newcomer in 2005, musical genres change all the time. For us it’s about getting the diversity in music. How do you deal with criticism? The rapper Chip criticised the MOBOs on “96 Bars of Revenge” saying, Some of your newcomers ain’t new. How do you manage the expectations of artists in the scene and honor a mix of musicians? It’s not easy. It means so much to the artists to be nominated [but] some aren’t happy if they’re not. Some contact us directly, others do it publicly. I’ve found that if they come to a judging meeting they ‘get it.’ Someone might arrive thinking they’re ‘Mr. Grime’ and know who should be nominated. But after listening to someone they respect, who has a different opinion, they realize there are lots of factors to consider. Mostack wasn’t nominated last year but instead of ranting, he said, “I need to work on myself, I need to do better, and I’m not going to give up.” It was impressive and humbling to see him sort of berate himself. I’ve always believed that success in life is not about money, education, or luck — it’s about the right mindset. Today, many black British musicians have taken underground sounds into the mainstream. Do you feel pleased that you saw this potential over two decades ago? Totally — that's what drives us. MOBO defined a watershed moment in British culture when homegrown urban music was invisible to the mainstream. Its birth inspired a generation that had been excluded to dare to dream. Having overcome obstacles as an independent organisation and challenging the status quo, our justification is seeing the talent we celebrated early on achieve success. Musicians such as Ms. Dynamite, Estelle, Kano, and Tinie Tempah all won Best Newcomer before they had a mainstream profile. From day one, MOBO has had a sociocultural responsibility beyond music, and our ethos is to motivate, elevate, and celebrate. There could’ve been times when we thought, “Why are we doing this?” so there’s a lot of satisfaction in the fact that we never gave up. 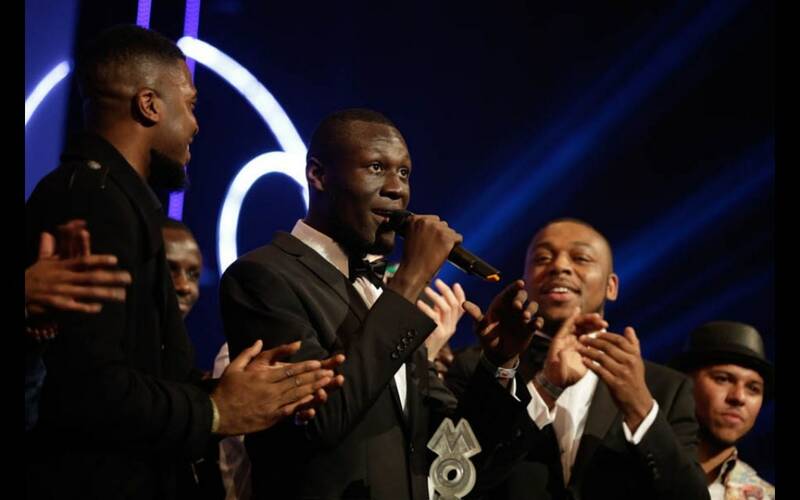 The MOBO Awards take place at Glasgow’s SSE Hydro on November 4.